As a local air conditioning company, 7 Services Inc. knows exactly what it takes to keep your home cool even on the hottest days of summer in Virginia Beach. We install products from the industry’s leading manufacturers to provide area residents with reliable and efficient cooling systems. You can trust our team of certified technicians to provide expert AC service at a fair price. If you’re unit is more than 10 years old, it could be time for an upgrade. Request a free estimate on a new or replacement air conditioner. 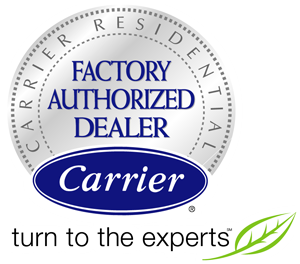 7 Services Inc. is a factory authorized dealer of Carrier HVAC equipment. Whether you’re buying an air conditioner for the first time or replacing an old unit, you can expect the highest level of professionalism and service. We install only top-of-the-line air conditioners and replacement parts. 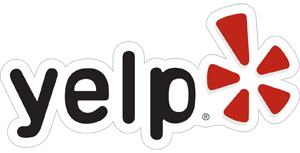 Our technicians are NATE and EPA certified, meaning they have the training, experience and product knowledge to assess each project individually and provide strong recommendations. In Virginia Beach, air conditioning is a necessity. We’ll help you find and maintain the perfect cooling system to meet your indoor air comfort needs. With our financing options, free estimates and product rebates, Virginia Beach air conditioning has never been more affordable! For flexible and precise temperature control room to room, purchase a ductless air conditioning unit. Ductless air conditioners fit seamlessly into your home’s construction – no renovations required – and consume less energy than a standard unit. 7 Services Inc. installs cutting-edge ductless systems from Carrier. Contact us today for ductless heating and cooling in Virginia Beach. Don’t neglect the signs of a malfunctioning air conditioner: frequent temperature swings, excess moisture, unpleasant smells or squealing sounds. If ignored, even a minor issue can cause unnecessary discomfort and lead to costly repairs. Our professional repair team will thoroughly inspect the unit and fix most repairs in a single visit. Plus, you can call us at anytime! We offer emergency, 24-hour air conditioning repair. Protect your investment with regular air conditioning service from 7 Services Inc.. No one can predict exactly when a unit will break down, but you can prevent the majority of expensive repairs by scheduling professional AC maintenance at least once a year. Our highly trained team of service contractors will clean the system, checking for worn or broken parts. Make an appointment with Virginia Beach’s expert cooling company: 7 Services Inc.
For Virginia Beach Air Conditioning Service call 7 Services today!